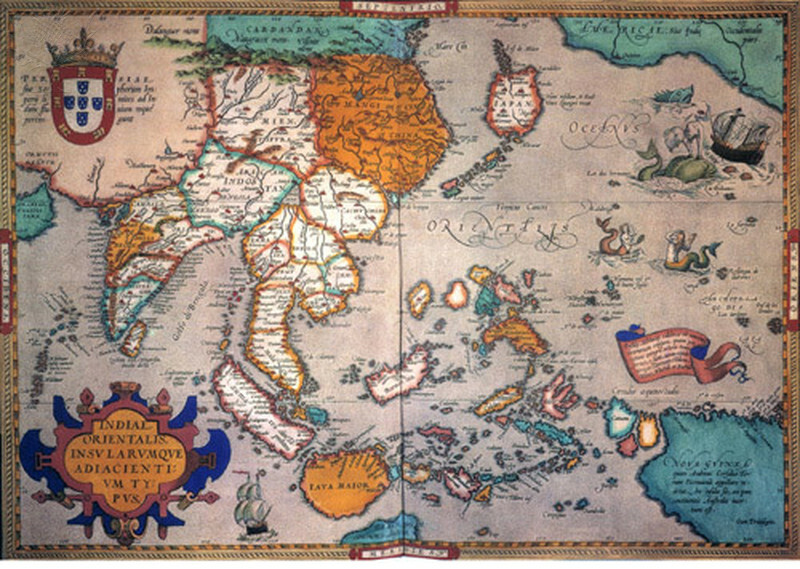 PACIFIC OCEAN/ASIA, 1595. 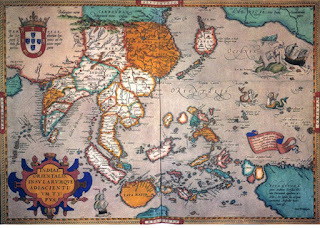 - Map of the Pacific Ocean and South-East Asia from the 1595 edition of Abraham Ortelius' atlas "Theatrum Orbis Terrarum.". Fine Art. Britannica ImageQuest, Encyclopædia Britannica, 25 May 2016.
quest.eb.com/search/140_1645068/1/140_1645068/cite. Accessed 8 Jul 2017. ...there is no single landscape of crime around the edges of the Pacific. From darkness-shrouded mean streets through neon nightmares and on to bodies on beaches, crime novels set near the Pacific don't look as much like one another as, say, mysteries set in Chicago do. Still, if in Chicago, there's always an El train rumbling by in the background, on the Pacific Rim, there's always that behemoth of an ocean somewhere nearby doing its own kind of rumbling...you're like to hear in the sounds of the surf what Matthew Arnold called "the turbid ebb and flow/Of human misery." ~Bill Ott, "A Hard-Boiled Gazetteer to the Pacific Rim"
A remote Australian bush town. Laos 1979. Political corruption in modern China. A Buddhist Thai policeman. The hills of Bali. The south Australia coast. Singapore's high society. North Korea's Ministry of People's Security. A Hong Kong mansion. A gritty police procedural set in Queensland. South Korea in 1974. The mean streets of Sydney. Manila's Quezon City. Violent robberies in Auckland City. A sidelined police inspector in Communist Shanghai. The wild mountains at the Lao-Vietnam border. These are just a few of the people and places you'll find in the noir set in the Pacific Rim, for those who like their reads dark and and gritty and with an Asian flair.